The perfect combo that will be sure to delight the friend that has it all. 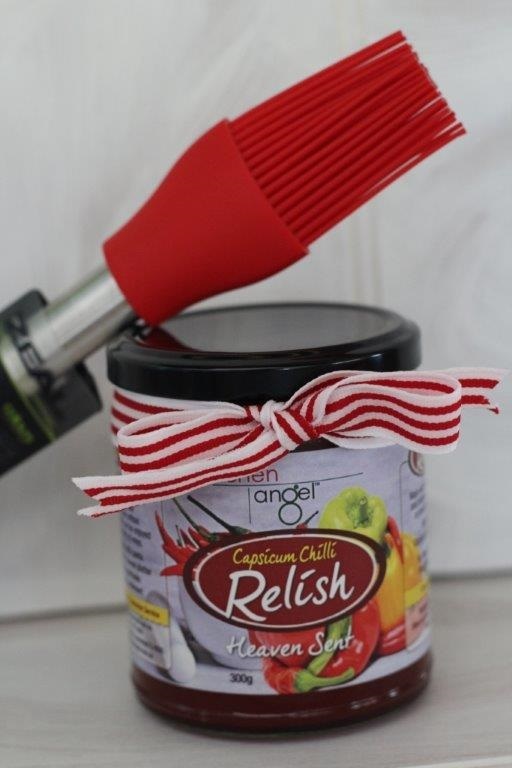 Our artisan homemade capsicum chilli relish is fresh and tangy and will spice up any ordinary meat. Just use the attached basting brush to marinade your meat and away you go!